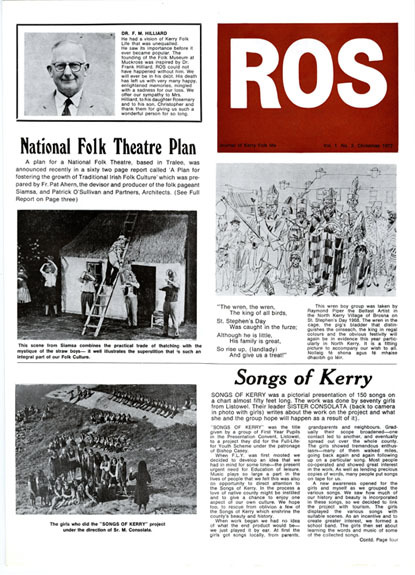 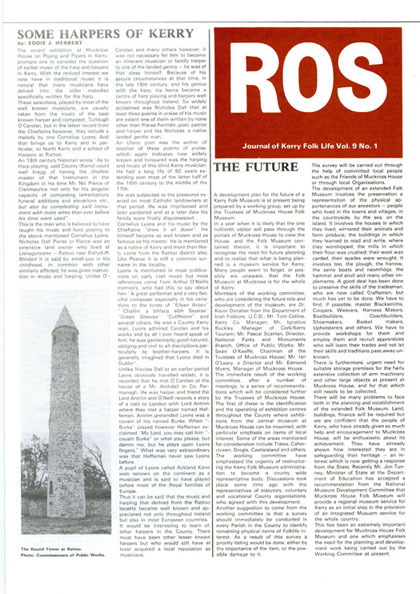 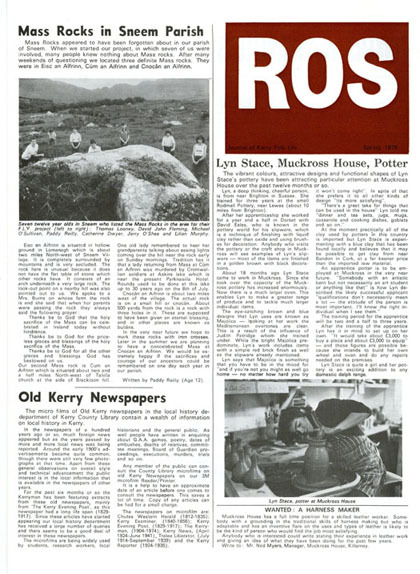 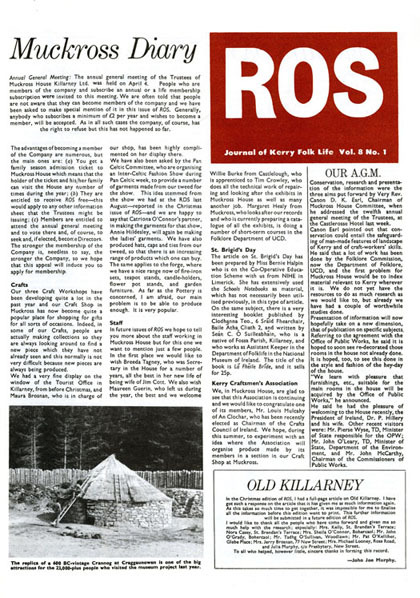 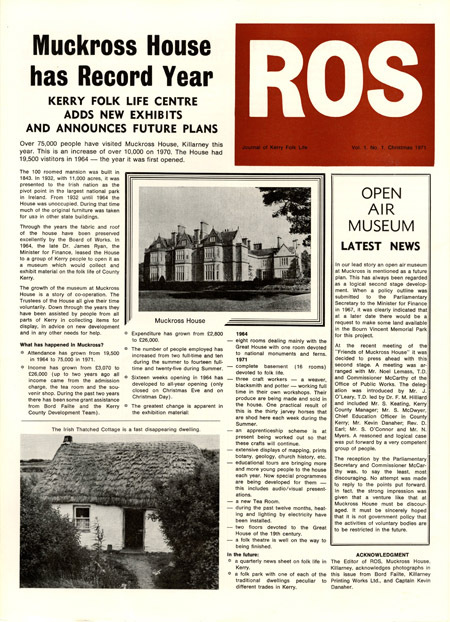 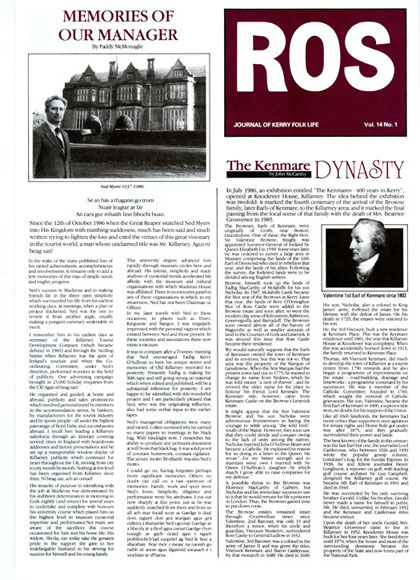 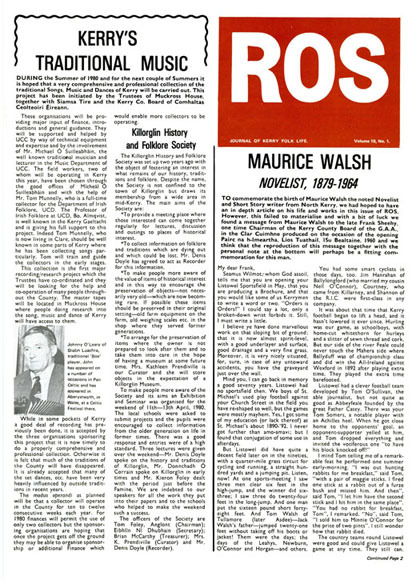 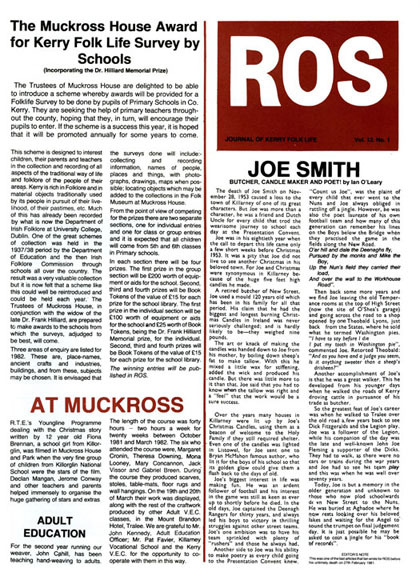 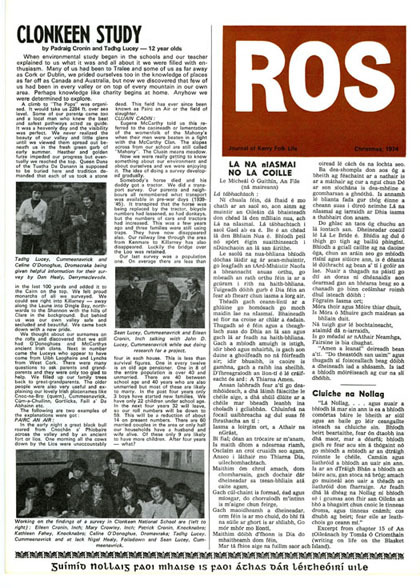 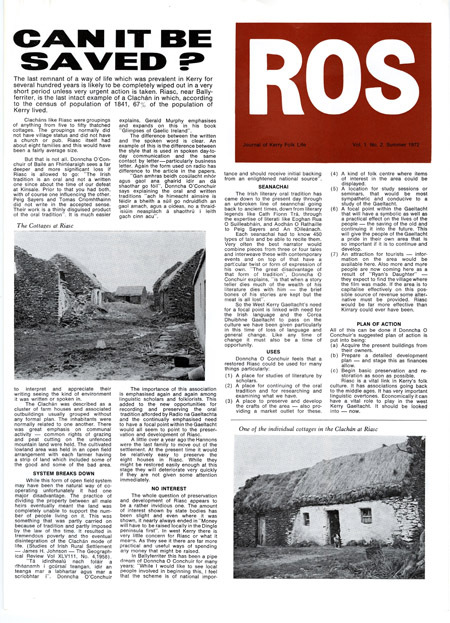 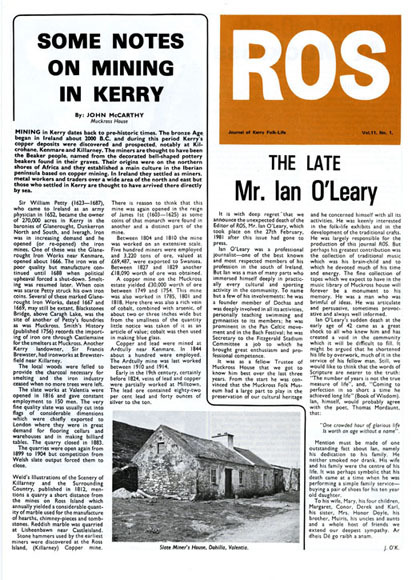 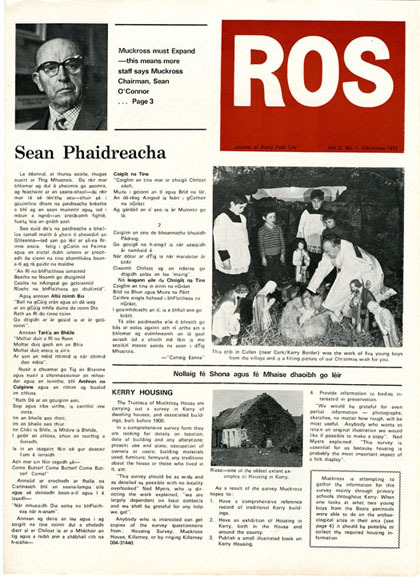 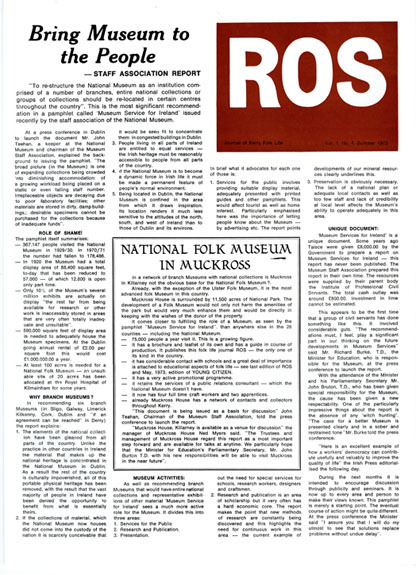 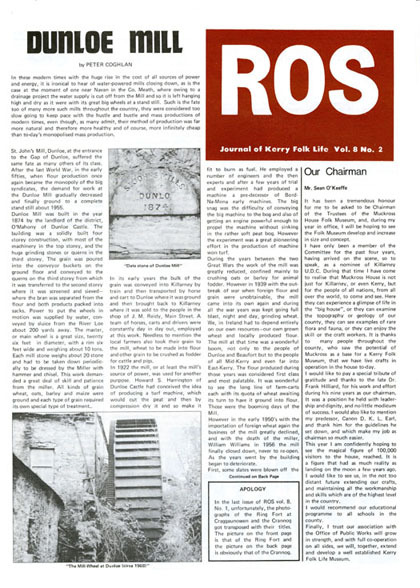 ROS was a publication produced occasionally by the Trustees of Muckross House (Killarney) Ltd., between the years 1971 and 1987. 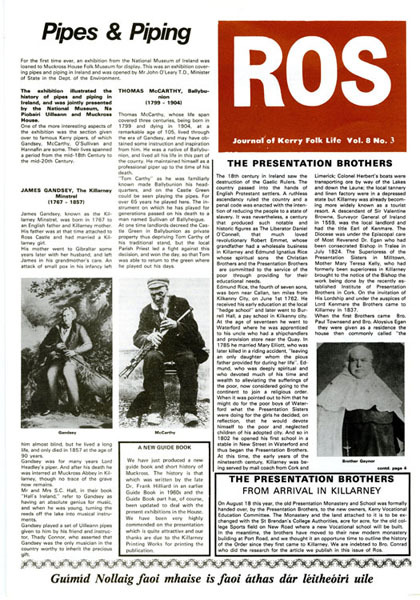 This publication has been out of print for many years but each issue may now be accessed here. 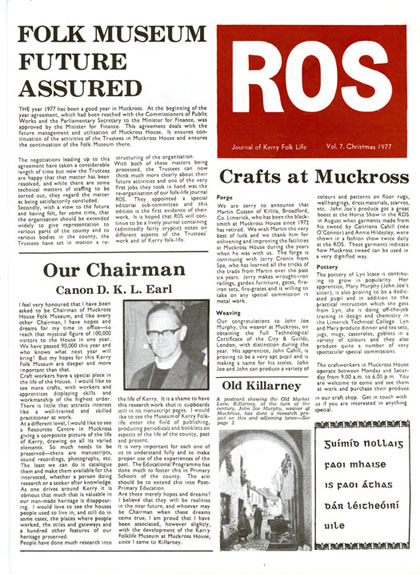 The Muckross Newsletter, a successor to ROS, has been published since 1996. 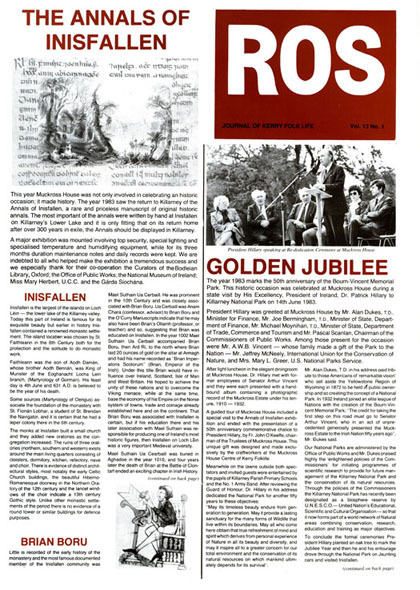 A readable version for each of the publications shown below is available on our desktop site.